Properly equipped, the 2008 Subaru Legacy Outback can tow up to 3,000 pounds, enough for a pop-up trailer or a small boat. With good performance and enviable safety, the 2008 Subaru Outback remains the top choice for families who value practicality but want a little more toughness. 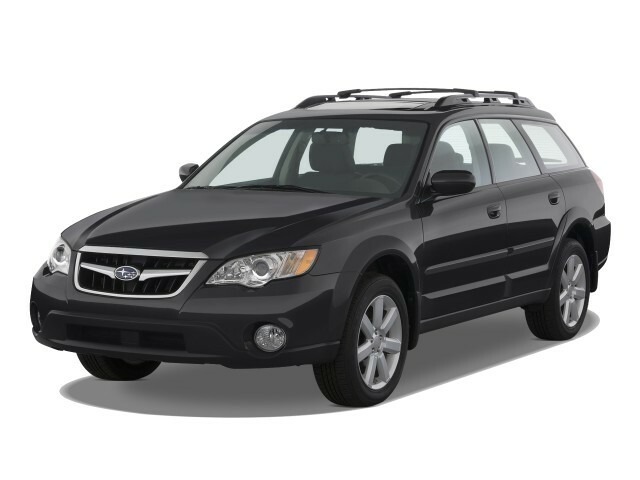 To bring you all the useful information on the 2008 Subaru Outback in one easy-to-digest review, the experts at TheCarConnection.com have included the viewpoints of some of the best reviewers on the Web. 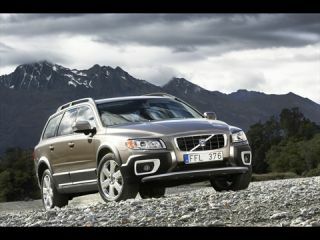 Then TheCarConnection.com's editors factored in their own firsthand experience with the Outback. For 2008, the Outback also gets a revamped exterior and interior, with new front sheetmetal, a larger grille, new front and rear bumpers, and new headlamps and taillamps. The 2008 Subaru Outback is offered in a wide range of models now ranging from the basic 2.5i up to the sporty XT Limited and luxurious L.L. Bean Edition and VDC Limited. The 2.5i and 2.5i Limited models get a 168-horsepower, 2.5-liter horizontally opposed ("flat") four, while the 2.5 XT and XT Limited upgrade to a high-performance turbocharged 2.5-liter flat-four making 243 horsepower. And at the top there's a 245-horsepower, 3.0-liter flat-six powering the 3.0R, 3.0R L.L. Bean Edition, and 3.0R VDC Limited. All said, the price ranges from about $22,000 for a base 2.5i to well over $35,000 for a loaded L.L. Bean. Subaru models with the base engine have either a five-speed manual or four-speed automatic transmission, while XT models have either a six-speed manual or five-speed automatic, which includes Sportshift paddle shifters. At the top, the six-cylinder engine comes just with the five-speed automatic. Across the line, the Outback models get all-wheel drive and have up to 8.7 inches of ground clearance, which may prove very useful in deep snow or mud. With the base engine, the 2008 Subaru Outback has adequate power with a light load, but if you plan on hauling a lot of stuff or driving in the mountains, the engine can feel taxed. It's made worse by the four-speed automatic, which can shift abruptly and has rather widely spaced gears. The turbocharged engine in the XT is the most responsive, with none of the turbo lag that sometimes plagues turbos, but the six is the smoothest and most refined. Models with the turbocharged four or the six-cylinder engine get SI-DRIVE, a system that has three different modes that allow throttle response, transmission shift, and other characteristics to change from smooth to sharp as desired in the 2008 Subaru Outback. Despite having the heavy-duty suspension, Outback models handle very well on the road, with crisp, rather communicative steering and not much body lean; ride comfort is quite good as well, but road noise can be an issue inside. Seating in the 2008 Subaru Outback is comfortable for five normal-sized adults, though front-seat occupants might find headroom tight with the available moonroof. A telescopic steering wheel is newly standard for 2008. Overall, the interior is rather basic but attractive with matte-metallic materials and mid-grade plastics. There are no overt luxury pretenses here, except in the top models, which pile on the convenience features and upgrades. Top 2008 Subaru Outback L.L. Bean models get a navigation system, upgraded heated seats, dual-zone climate control, leather trim, and a six-speaker sound system. Some of the latest expected tech features, such as a Bluetooth interface, an iPod interface, and live traffic updates, aren't available. The Subaru Outback has received top five-star results from the federal government in both frontal and side impact tests. Anti-lock brakes, front-seat side airbags, and active front head restraints are all included, and the availability of the electronic stability control system has been expanded for '08; it's offered on all but the base 2.5i. The 2008 Subaru Legacy Outback has muted SUV influences outside, and upscale car influences in its cabin. The 2008 Subaru Legacy Outback has a purposeful look and a more upscale interior that garners mostly approval from reviewers around the Web. Although Edmunds says the 2008 Subaru Outback has “dropped the awkward SUV styling cues of yesteryear and now embraces its midsize wagon body," Kelley Blue Book notes that despite its "wedge-shaped profile...its SUV-like attributes are subtle but noticeable." This source praises the way its "aerodynamic ground-effects components blend with more pronounced wheel arches to give it a bolder stance," however. Cars.com reports "few styling changes for 2008, most notably a new bumper and a restyled grille...higher trim levels of the Outback lose their two-tone paint scheme for a monotone bumper with gray cladding at its lower edges." According to J.D. Power, "the 2008 Subaru Legacy Outback features revised styling inside." As reported by Edmunds, this includes "simple controls, tasteful faux wood and aluminum accents," giving this Subaru 2008 interior "an uncluttered and classy ambience." A similar statement is noted at The Auto Channel: "two-tone color scheme, multiple textures, leather seating surfaces, and faux wood and silvery plastic trim fill the bill and give a comfortable, slightly upscale ambiance to the interior" to the 2008 Subaru Legacy Outback. Kelley Blue Book provides more detail: "two-toned interiors are fitted with cloth upholstery on [2008 Subaru Outback] Basic, 2.5i and 2.5i L.L. Bean trims, while the 2.5 XT Limited and 3.0 R L.L. Bean Editions receive leather trim...dashboard and control layout convey a down-to-business personality." The performance of the 2008 Subaru Legacy Outback straddles the line between comfort and sport fairly well. The 2008 Subaru Legacy Outback comes in an array of trim levels that boil down to three engines, three transmissions, and standard all-wheel drive. The 2008 Subaru Outback is offered in a wide range of models now ranging from the basic 2.5i up to the sporty XT Limited and luxurious L.L. Bean Edition and VDC Limited. The 2.5i and 2.5i Limited models get a 168-horsepower, 2.5-liter horizontally opposed ("flat") four, while the 2.5 XT and XT Limited upgrade to a high-performance turbocharged 2.5-liter flat-four making 243 horsepower. And at the top there's a 245-horsepower, 3.0-liter flat-six powering the 3.0R, 3.0R L.L. Bean Edition, and 3.0R VDC Limited. With the base engine, the 2008 Subaru Outback has adequate power with a light load, but if you plan on hauling a lot of stuff or driving in the mountains, the engine can feel taxed. The turbocharged engine in the XT is the most responsive, with none of the turbo lag that sometimes plagues turbos, but the six is the smoothest and most refined. According to Cars.com, the 2008 Subaru Outback offers "either a four- or six-cylinder engine," and "output ranges from 170 horsepower in the base four-cylinder to 245 hp with the six-cylinder." ConsumerGuide says "non-turbocharged 4-cylinder models have enough power for most driving, but lack reserve muscle for passing and merging," but "turbocharged 243-hp 4-cylinder models provide good power--7.8 seconds 0-60 mph in our tests." However, with these Subaru 2008 models, "throttle response is dulled by annoying turbo lag." Nonetheless, Car and Driver says "the new 2.5-liter engine is indeed amazingly smooth and quiet," and "boasts other advantages"--namely, it is more lightweight than similar engines. Subaru models with the base engine have either a five-speed manual or four-speed automatic transmission, while XT models have either a six-speed manual or five-speed automatic, which comes with Sportshift paddle shifters. At the top, the six-cylinder engine comes just with the five-speed automatic. Cars.com reports that "manual or automatic transmissions are available for the regular and turbocharged four-cylinders," and observes this Subaru 2008 transmission "could use a fifth gear; in many cases you can press the gas pedal halfway down without inducing a downshift, which doesn't help your passing confidence." ConsumerGuide reports that "some find the manual transmission to have imprecise, overly long shift action," while Edmunds complains that the "automatic transmissions still leave much to be desired, as they sap power by upshifting too early." Across the line, the Outback models get all-wheel drive and have up to 8.7 inches of ground clearance, which may prove very useful in deep snow or mud. ConsumerGuide testing shows that "a 2.5i L.L. Bean averaged 23.5 mpg in mostly highway driving," while an XT Limited with manual transmission "averaged just 15.5 mpg in mostly city driving." The same 2008 Subaru Outback with automatic "averaged 18.3 mpg in city/highway driving, 23.5 with more highway use." The six-cylinder 2008 Subaru Outback 3.0 R "averaged 21.6 in mostly highway driving that included gas-eating performance runs." Fueleconomy.gov posts a range from 10 to 17 mpg in city driving among the various trims of 2008 Outbacks and 24 to 26 mpg highway. Despite having the heavy-duty suspension, Outback models handle very well on the road, with crisp, rather communicative steering and not much body lean; ride comfort is quite good as well, but road noise can be an issue inside. "The low center of gravity helps quell roll motions and reduce that tippy sensation you often get in heavy SUVs," according to Car and Driver, adding "thanks to a steering rack bolted securely to the front suspension subframe, the Outback has very direct responses to the helm." ConsumerGuide reports "all Outbacks have linear, predictable steering...[and] brakes feel strong on all." According to Edmunds, "firm suspension tuning along with responsive steering and the grip afforded by the all-wheel-drive system give the Outback a nimble feel through the turns while still providing a comfy highway ride," while Kelley Blue Book comments that "ride comfort leads the 2008 Subaru Legacy Outback's list of benefits," though "on rougher surfaces...the suspension tries its best to maintain a level attitude but some occupant-tossing may occur." The 2008 Subaru Legacy Outback has above-average fit and finish, and below-average seating space. Again, the 2008 Subaru Legacy Outback is not at the top of TheCarConnection.com's list of luxurious rides, but it's better than average. Cars.com reports that "as midsize cars go, the Outback's five-seat cabin feels intimate...total passenger volume ranges from 93 to 98 cubic feet, depending on whether you have a moonroof." ConsumerGuide reports "plenty of legroom, but headroom is tight for taller riders," and [rear] foot space is cramped, even with the front seats raised." Edmunds says 2008 Subaru Outback "seat comfort is generally good, though adults may find the backseat tight on legroom and shoulder room compared to roomier wagons and crossovers." According to ForbesAutos, "two adults will find the Outback Wagon adequately roomy up front, with up to three of all but the tallest riders accommodated in the rear." Storage space appears to be a disappointment in this 2008 Subaru; ConsumerGuide says "these wagons have low liftover but no opening glass," and "interior small-item storage [is] lacking, disappointing for an 'active lifestyle' vehicle." Edmunds reports that "with the rear seats up there is 33.5 cubic feet of cargo capacity...flip them down and 66 cubic feet are available." According to Car and Driver, the 2008 Subaru Legacy Outback "interior is of fairly high quality compared with that of similarly priced cars, especially on the less expensive models." Cars.com says "heated seat controls have a rickety feel, and the doors lack window frames, so they don't shut with as much heft as I've come to expect in a midsize car." ConsumerGuide's verdict: "Assembly quality has been good on models tested. With revamped interior, materials are class appropriate, though nothing special given Subaru's near-premium pricing." 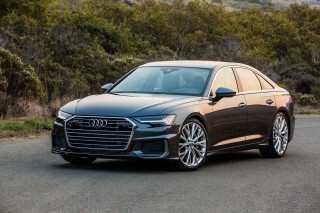 ConsumerGuide also notes that while "turbocharged and 6-cylinder engines are subdued and refined...some testers complain of body drumming over broken pavement," and "a fair amount of road and wind noise filters into the cabin at highway speeds." The 2008 Subaru Legacy Outback is a leader in safety. The 2008 Subaru Legacy Outback is one of the safest vehicles in its class. The National Highway Traffic Safety Administration (NHTSA) grants the Outback a five-star rating for front and rear seat front and side protection, and four stars for rollover protection. The more stringent Insurance Institute for Highway Safety (IIHS) gives the Outback its highest rating of "good" on all tests. Cars.com reports that "standard equipment includes four-wheel-disc antilock brakes, side-impact airbags for the front seats and side curtain airbags for both rows"; however, "an electronic stability system is optional" for the 2008 Subaru Outback. Edmunds adds that "anti-whiplash front head restraints are standard on every 2008 Subaru Outback," while "stability control is available on all trims except the base and 2.5i 2008 Subaru Outback." Kelley Blue Book reports that "Outback's seating position provides a more 'commanding' view than ordinary wagons," and ConsumerGuide says "visibility is unobstructed to all corners." The 2008 Subaru Legacy Outback is improving in luxury feel, but features have been slower to join the party. The 2008 Subaru Legacy Outback is fairly stingy with luxury and entertainment features. Cars.com reports that all 2008 Subaru Outbacks "come fairly well-equipped with power windows and door locks, a CD stereo and remote keyless entry"--but little more, which is a disappointment, considering the base 2008 Subaru Outback sticker price. Edmunds has slightly better news here: "Standard equipment on the base trim includes 16-inch steel wheels, roof rails, air-conditioning, a tilt-and-telescopic steering wheel, a satellite radio-ready audio system with CD player and an MP3 player jack, keyless entry, an outside temperature display, and full power accessories." 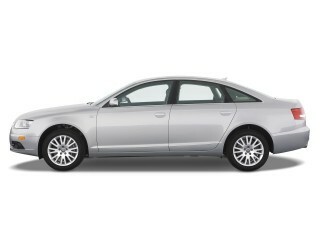 Cars.com says that the "lavishly appointed L.L. Bean edition [2008 Subaru Legacy Outback] includes heated leather upholstery, power front seats and a navigation system." On a trim-by-trim basis, Edmunds reports, "The 2.5i adds 17-inch alloy wheels, a limited-slip rear differential, roof-rail crossbars, heated exterior mirrors, deicing wipers, a power driver seat and front-seat heaters," while the Subaru 2008 2.5 L.L. Bean "is a little more upscale and features dual-zone automatic climate control, an in-dash CD changer, a navigation system and specialized floor mats." The reviewer here adds, "spring for the 2.5i Limited L.L. Bean, and, as you'd guess, you get all of the above features as standard." The L.L. Bean Outbacks can be lavishly outfitted—but can also top $35,000. And still, these vehicles are without Bluetooth, standard satellite radio, or iPod connectivity, features that are becoming commonplace in vehicles costing far less.